Microgaming’s Thunderstruck II was released in 2010 and is still proving to be one of the most popular online slots of all time. The Norse mythology themed game sports 5 reels and 242 ways-to-win. Among its many super features, is the Great Hall of Spins where you can play 4 free spin options with increasing multipliers up to 5x, resulting in a possible win of 8100x your bet! Fortunium is a steampunk themed slot from Microgaming that is played on a 5×5 reel set with 40 paylines. It offers innovative features such as the Mystery symbols and Free Spins with mystery reels, as well as the optional Win Booster feature where you play for 50% more per spin, but remove low value symbols from the Mystery Symbols feature. Immortal Romance is undoubtedly a cult favourite amongst slot players. The game has 5 reels and 243 ways-to-win, and is based on vampires and other supernatural characters. The multipliers and rolling reels during the free spins rounds is what sets this must-play slot apart, as it offers wins up to 12,150x your stake. Mega Spin Break Da Bank Again Slot is a classic and simple to play 5-reel x 9-payline video slot powered by Microgaming. The game is an exciting sequel to the popular Break Da Bank Slot. It actually offers you four slot machines so you can land more winning combinations and bag up to 375,000 coins! Explore a hidden aquatic world in Ariana, a Microgaming-powered video slot with 5 reels and 25 paylines. It’s a visually pretty slot about a mermaid princess who rules her underwater kingdom. Ariana is a medium variance slot machine that offers wins fairly frequently. The maximum winning potential per spin is 240x your stake which can be achieved during the Free Spins feature. Simple but superb is the perfect description for this 5-reel x 9 payline slot from Microgaming in collaboration with Just for the Win. Deco Diamonds is a classic slot that benefits from re-spins with sticky reels, as well as a bonus wheel where you can win up to 1,000x your bet in addition to all winnings. Overall, the high-variance game can reward you with a cool 2,323x your bet when the re-spin and Bonus Wheel features come to play in your favour. Avalon is a classic Microgaming video slot with 5 reels and 20 paylines that is based on the legend of King Arthur. This beautifully crafted slot is particularly popular for its high value Lady in the Lake Free Spins (12), Wilds, and up to 7x multipliers. 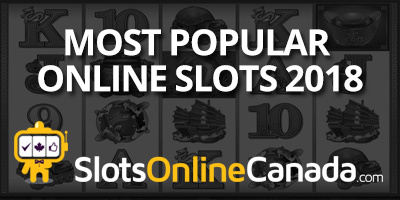 For a low-to-medium paced slot it offers a very decent 97% RTP and a hefty 105,000-coin jackpot. It is perfect for beginners and novice players alike. Another Microgaming classic – Break da Bank is a highly addictive, highly volatile 3×5 reel slot with 5 paylines that revolves around a fun bank heist theme. The wild card doubles the payout of any winning combination it is part of, and quadruples it if there are 2 wild symbols in the winning combination. Break da Bank offers max regular payouts of as many as 2,400 coins, and if there are three Dollar Sign symbols on an activated payline, you win a jackpot of 160 coins. 108 Heroes a 5-reel x 15-payline video slot machine from Microgaming that is inspired by Chinese folklore. It’s a fast-paced game that features the King’s Treasure Bonus where you can pick from 12 treasure chests to win guaranteed cash prizes. There is also a Free Spins feature where you can get up to 20 free spins with all wins trebled. Microgaming’s Basketball Star is a 5-reel video slot offering 243 ways to win. With the obvious basketball theme, it showcases a Wild Shot feature where up to 2 reels can turn completely wild. The main attraction however, is the Free Spins feature where you can get up to 25 free spins with Rolling Reels that can multiply consecutive wins up to 10x!